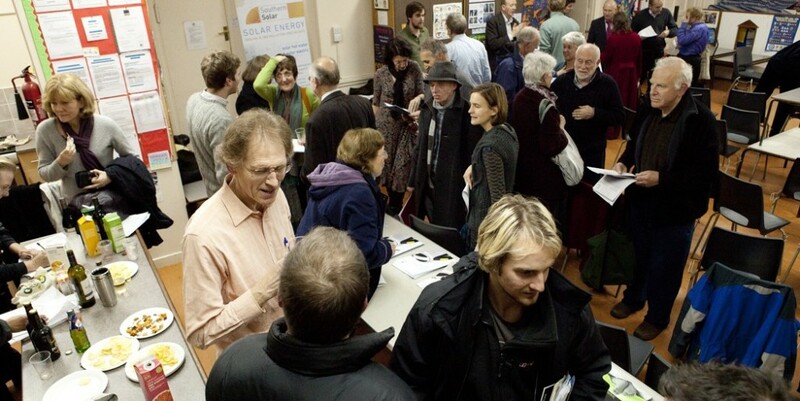 On 16th November 2010 we launched our Low Carbon Buying Group. This is a bulk-purchasing scheme which will bring lower prices on the more expensive energy-saving measures and on renewables. The first products to be included in the scheme are Solar Photovoltaic and Solar Thermal installations. We are pleased to be working with the following four suppliers for solar:Ecodomus Limited, engensa, Hatch Sustain and Southern SolarThese suppliers have been vetted by us, and will be offering between 10 and 20% discounts for members of the Low Carbon Buying Group. Anyone can join this group – you just need to be a Muswell Sustainability Group Member (annual subscription £10). We will be extending the scheme to boilers, solid wall insulation and replacement windows shortly. I would like to joing the sustainability group. I live in Archway and I am part of the wihitehall park ecoteam and a member of Hican. We’ve just launched our new website and I’ve found this comment from you and not sure when you posted it! If you are interested in joining Muswell Hill Sustainability Group but have not yet done so, please send your contact details (name, address, phone and email) together with a cheque for £10 to our membership secretary at 7 Dukes Avenue, Muswell Hill, London N10 2PU. I’m starting a veterinary practice in the Viaduct and have been given your email by Natalie Butler at Haringey. I would be keen to join and get some advice on energy efficiency for the practice. I have recently found a recurrent problem with energy efficient light bulbs. Using them with existing bayonet fittings – a few years old – I find that some new bulbs do not make proper contact with the bayonets. As a result, the bulbs either don’t light at all or arcing occurs, melting the bayonet studs. The problem seems to vary from one brand to another. Homebase told me that the problem had been reported with their own brand and Philips bulbs. I found that Tesco bulbs were OK where Homebase bulbs weren’t, and a TCP bulb was OK where a Philips one wasn’t. Is this a recognised problem? I was on the point of replacing a lot of light fittings!